Eboracum (if you were around in Roman 71 AD), otherwise known to the common traveller as York, is fortunate to have many subtle bookstores, jewels in the city’s Crown of Architectural splendour. I have visited York through the years. The first occasion notably was a stay at the former home of musical composer John Barry. 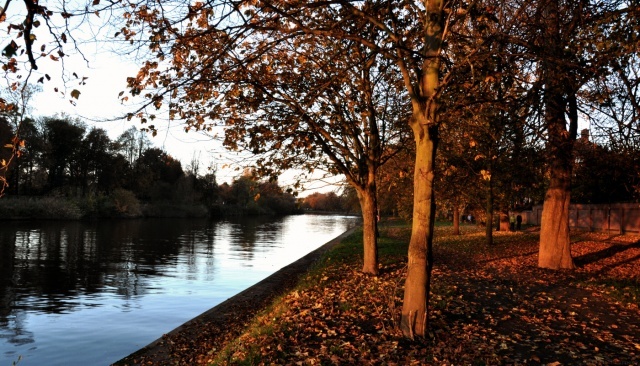 I am always entranced by the season of autumn, but particularly in York. The city backdrop is a canvas painted with a thousand leaves. I guess the way a heroin addict needs to know a dealer is close by, an alcoholic the nearest place to purchase liquid poison, a fitness fanatic the gymnasium, so the book aficionado needs to know the precise location of a book emporium. 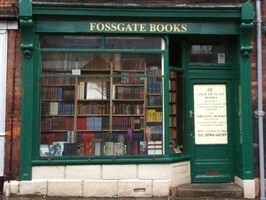 This is how I first found my way to Fossgate Books and I have been re-visiting ever since! Of course, a genuine bibliophage never really travels alone and my trusty vintage briefcase, (where I keep my notebook, pens and papers) always has a mini-library for emergencies. This past weekend I travelled with The Flaneur by Edmund White, the chilling House of Small Shadows by Adam Nevill and I always have a copy of Jude the Obscure to hand. What a Bible is to a Roman Catholic, Hardy’s tale of self-education is to me. The religion of the written word is my chosen spiritual pathway, yet they never have that option to tick on the equality and diversity screening forms. Fossgate’s was scribbled purposefully in my itinerary for the weekend, which also included a visit to Castle Howard, the setting of the television rifacimento of Evelyn Waugh’s Brideshead Revisited. 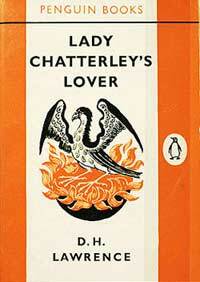 It was Fossgate’s that started my collection of vintage covered Penguin Classics; here I purchased a battered copy of Lady Chatterley’s Lover. I now seek such Penguin Classics like a pig sniffing out truffles. Every trip to a book palace is like a search for hidden treasures. One of the great charms York offers is that some of the streets do NOT adhere to the flat pack style of high street planning that is rampant across the United Kingdom. The one size fits all model, the universality of non-uniqueness. The Body Shop, Carphone Warehouse, Subway etc. etc. etc, I am sure are present but they are not rammed in your face like most UK cityscapes. It is also quite nice to not to have every other shop be a Tesco Express, as the case in my home town, the Pool of Life. You are never more than five yards away from a rat in a bustling metropolis, but in Liverpool it’s the exact same statistic for the good ship Tesco Express. Every little apparently does help! Perhaps, the downside to York is the multitude of ghost tours on offer. Some may say there are more ghouls than people, with every homestead and dog kennel having an alleged ‘haunting’. The supernatural is to York what The Beatles are to Liverpool, a cash cow that is indeed milked completely and well and truly slaughtered. What treasure did I find this time in Fossgate’s to feed my appetence? A hardback M.R James Ghost Story collection with crafted illustrations. My heart was elated when I asked the proprietor if he had any M.R James in stock and I was impressed that in the catacomb of books he could also give me the exact location of it upstairs. It is the scent of the written word that slaps you in the face when you enter through the door of Fossgate’s. The cocktail of aromas, hard to define, undisturbed dust blended with aged paper. A stockhouse of the whole gamut of human experience. It’s then when the fragrance hits me, I know I may not be in my native dwelling place, but I am without a doubt home. So when in York, seek out this little temple of knowledge, it would be felonious not to.